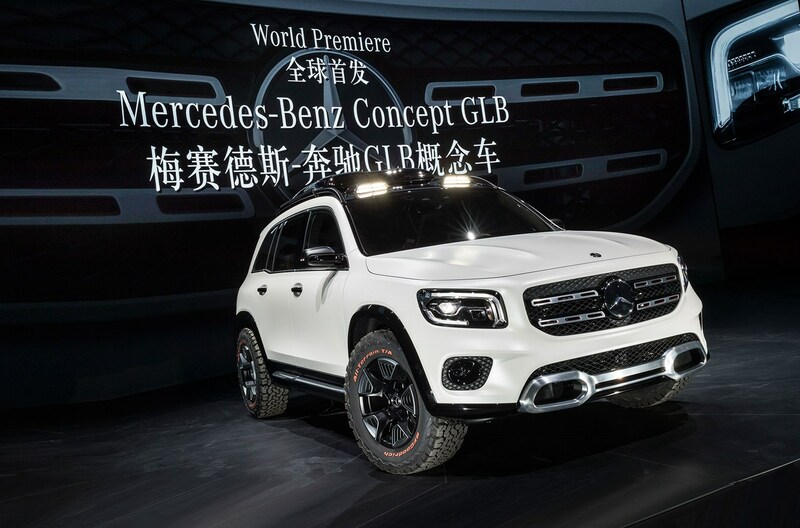 The new Mercedes GLB has been previewed at the 2019 Shanghai motor show with this stocky concept car. 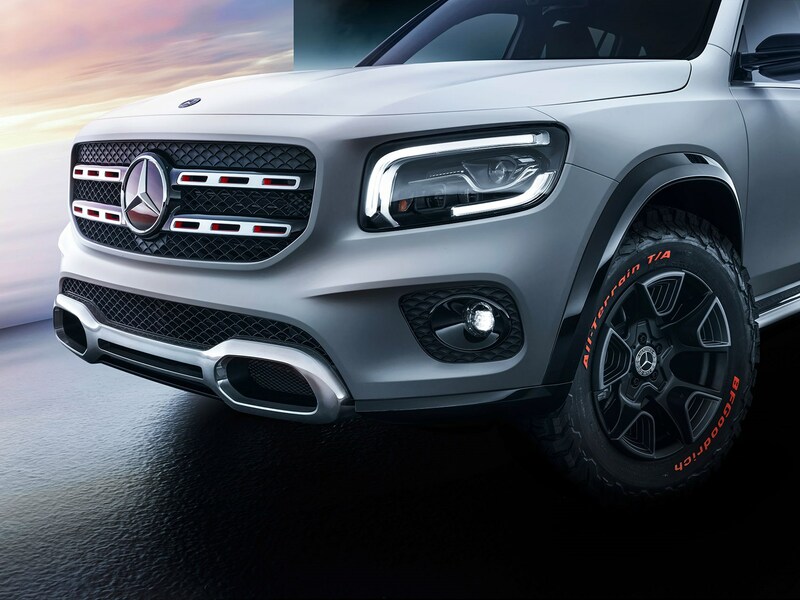 Merc is making no bones about it: this is not a show-off flight of fancy and points to an additional SUV that'll swell the three-pointed star's product ranks before too long. 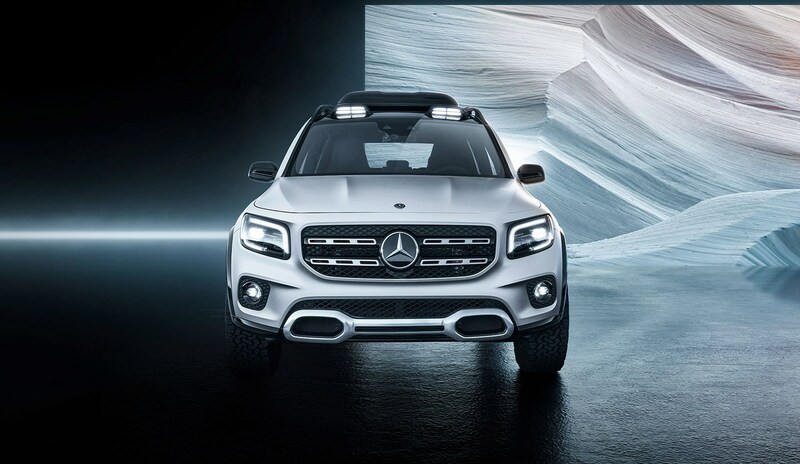 In a reflection of just how crammed Stuttgart's range is becoming, Mercedes top brass has confirmed that it intends to launch the GLB. 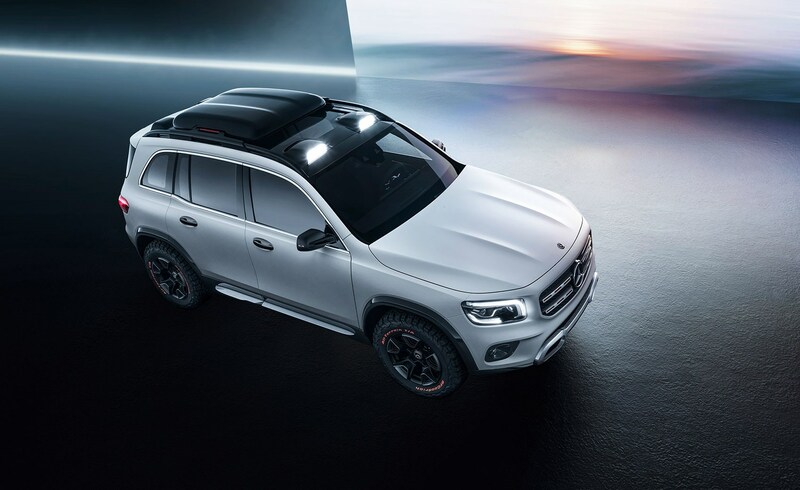 'We asked ourselves whether there is still space between the GLA and GLC in our successful SUV range,' said Britta Seeger, Merc's sales director. 'The Concept GLB is the answer to this question. With it we are demonstrating the creative ideas we have for this segment. Wait... the Mercedes GLB is a seven-seater? Yep. Despite being only 4.6m long, there's space for three rows of seats in that compact footprint, Daimler claims. The middle row slides back and forth by 140mm, letting owners juggle the twin demands of carrying limbs and luggage. Thank those bluff, boxy lines for the seven-seat capability. It's not quite a mini G-Wagen, but it's not too far off. It's somewhere between perpendicular G-Class and Jimny, but with a dose more Mercedes-Benz style. 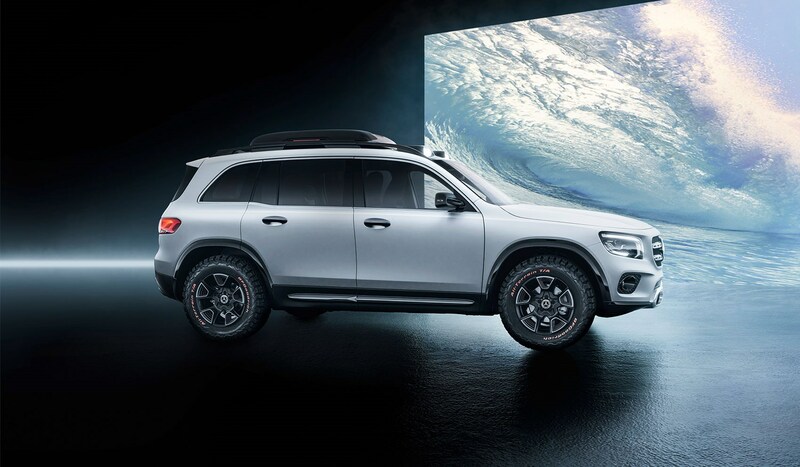 The concept version at Shanghai boasts rough-treaded off-roader tyres on its 17-inch wheels and LED spotlights for night-time mud-plugging. 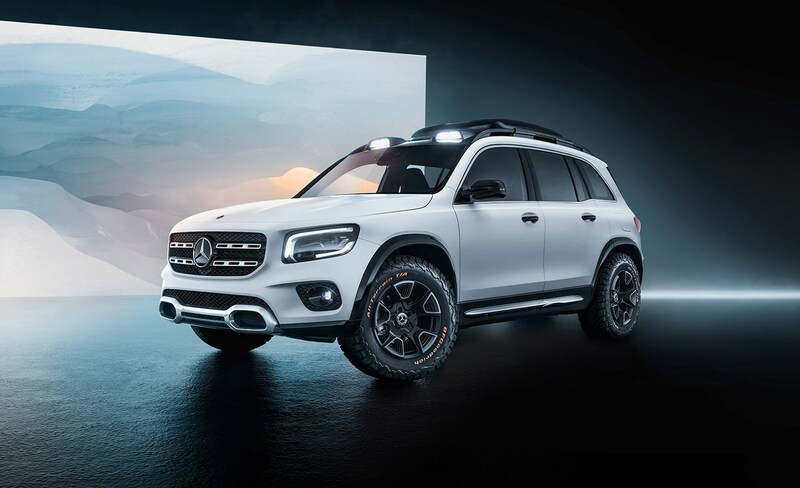 The Mercedes-Benz Concept GLB is powered by... not an electric motor! 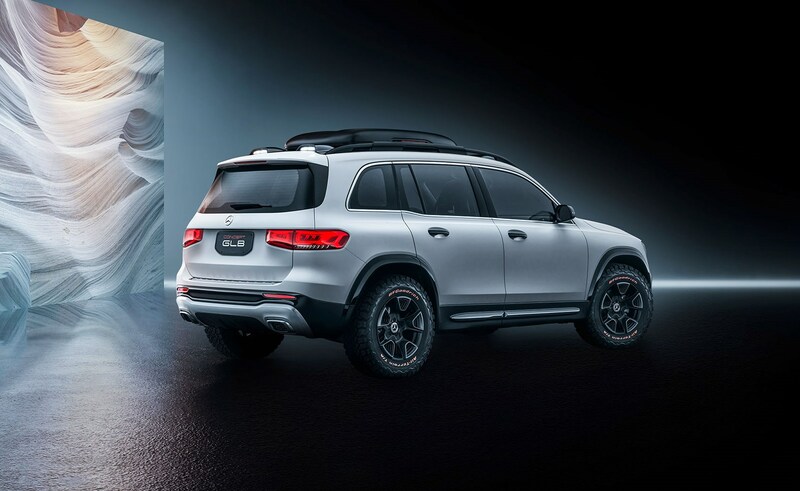 In a nod to the fact that Shanghai's streets are still populated by mostly internal combustion engine cars, the new SUV is propelled by the 221bhp 2.0-litre four-cylinder petrol turbo mated to an eight-speed twin-clutch transmission. Standard 4Matic all-wheel drive can vary drive from 80:20 front:rear to 50:50 when the going gets slippery.